This week's website of the week goes to PrestiveVA. 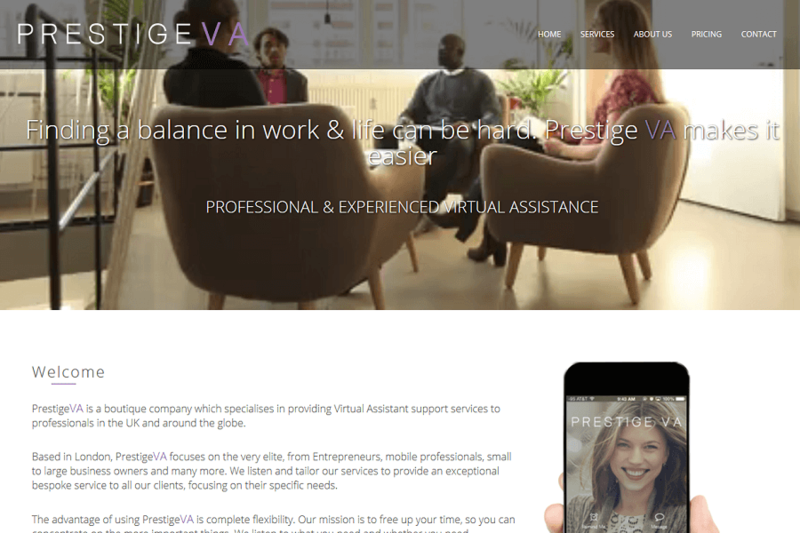 PrestigeVA is a boutique company which specialises in providing Virtual Assistant support services to professionals in the UK and around the globe. Senior Project Manager Andy started by creating a fully responsive website, using a full width video background and parallax images. The website features an opaque black header area, and the purple taken from the clients logo as an accent colour throughout. The website content panels are kept white to keep it clean and professional. 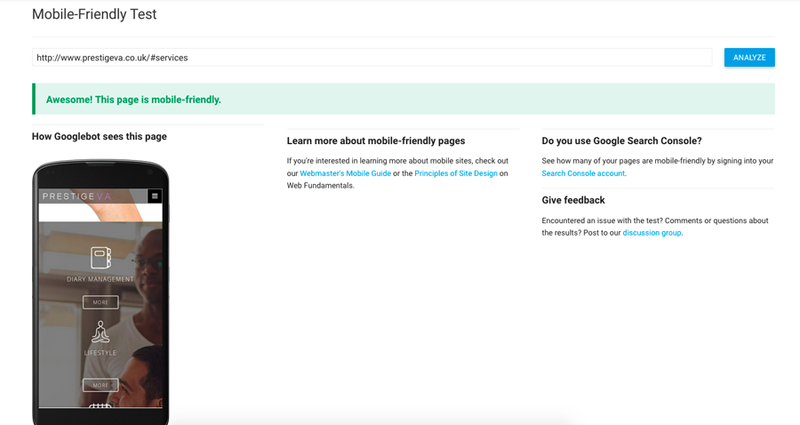 The website features fade in text and an anchored menu meaning that you can click down to the relevant part of the page that you're interested in reading about. The website is a 1 page website. Acting as a landing page for the business, and being separated out into organised panels so that it's easy to navigate and follow. The website imagery has been chosen well to reflect the business and the services they provide. A video background has been selected for the top of the website. You’re welcome to pick our brains about any of our web design services.